Recently many of us were provided an opportunity to watch a highly interesting video on the internet covering a talk given by Dr. Salim Yusuf at a recent Cardiology Update meeting. Dr. Yusuf is the Marion W. Burke Chair in Cardiovascular Disease at McMaster University Medical School in Hamilton, Ontario, Canada and current President of the World Heart Federation. In his talk, he presented data from the PURE study on the relationship between the consumption of different macronutrients and the risk of cardiovascular disease (CVD). The video received enormous attention, mostly because the data seemed to seriously challenge current dietary guidelines and recommendations by respected professional societies such as the American Heart Association (AHA) and the World Health Organisation (WHO). Unfortunately, the video is not available on the internet anymore (although you may still find it in some “dark alleys”), due to a copyright claim by the Zürich Heart House. It appears that a large part of the data presented by Dr. Yusuf is still to be published in peer-reviewed medical journals. Hence, widespread introduction of the findings may be a delicate issue. However, the presentation of unpublished data at meetings and conferences prior publication is indeed quite common. Considering that we live in the information age, it may be difficult (and possibly unethical), to block the spread of valuable knowledge from the rest of the medical community and the public. PURE is an abbreviation for Prospective Urban and Rural Epidemiological Study. It is a large epidemiological study aimed at examining the relationship of societal influences on human lifestyle behaviors, cardiovascular risk factors, and incidence of chronic noncommunicable diseases (1). The PURE study recruited 153.996 adults from 17 countries aged 35-70 years between 2003 and 2009 from urban and rural communities in low, middle, and high-income regions of the world (2). Later it was expanded to more countries and is still ongoing. Several papers on the design of the study are available, but as of yet, results have not been widely introduced (3). However, last year I wrote a blog post addressing data from the PURE study presented at World Heart Federation’s World Congress of Cardiology & Cardiovascular Health in the summer of 2106 in Mexico City. The data suggested that, contrary to what has been publicly advocated, high-carbohydrate diets seem to be worse for blood lipids than high-fat diets (4). Experts agree that lifestyle factors significantly affect the risk of developing CVD. When it comes to diet, the focus has often been on macronutrients and their effects on surrogate markers such as blood cholesterol. On order to keep fat intake at a minimum, the AHA, WHO and many other public health authorities have recommended that 55-60 percent of calories consumed should come from carbohydrates. The rising prevalence of obesity and type 2 diabetes suggests that public health authorities have either failed to deliver the correct message to the food industry and the public or that their recommendations have simply not been implemented. It is for this reason that we so eagerly await the results from nutritional part of the PURE study. Obviously, it is of public interest that these data become widely available. Before we go further, it is important to acknowledge that PURE is an epidemiological study and not a randomized trial, and as such, has a limited value when it comes to proving a causal relationship. Food Frequency Questionnaires (FFQs) were used to measure dietary habits. Although this method has several limitations, the benefits of using FFQ is that they are relatively simple and easy to administer. A pilot study suggested that the FFQ’s used in the PURE study could capture dietary intake adequately (5). Let’s look at the data presented by Dr. Yusuf on the association between carbohydrate and fat consumption and cardiovascular disease. In the same lecture, he also presented data on salt intake, blood pressure and the role of fruits and vegetables. These data are not covered here. Carbohydrate intake was divided into quintiles. Those in Q5 consumed most, and those in Q1 consumed least. 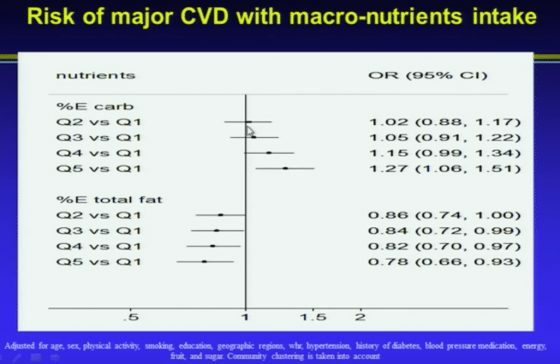 As can be seen from the slide below, presented by Dr. Yusuf, using the lowest carbohydrate intake (Q1) as a reference, there is an increased risk of CVD with increasing carbohydrate consumption. “Again, total fats, if anything, is protective. And the reasons for this are twofold. Too low fat is inadequate, too high fat is probably bad. And the original studies from Finland was at extremely high fat levels, not the usual fat levels that populations consume. Does the Type of Fat Matter? Current dietary guidelines recommend that we limit the intake of saturated fats and replace them by mono- and polyunsaturated fats. Low-fat dairy products are recommended for the purpose of avoiding saturated fats. Vegetable oils should be used instead of butter. “Then if you look at the types of fats, saturated fats, you will see there is not really a clear pattern of anything. Within the normal range, saturated fats are not harmful. May even be slightly beneficial. But there is no harm. With monounsaturated fatty acids which are in olive oil, canola oil, and are part of the key to the Mediterranean diet, you get a clear benefit. Polyunsaturated fatty acids which are largely from vegetable oils, and remember that is processed oil, is largely neutral. You’ve got to think of the change in oils that have occurred in the world in the last 30 years. It was entirely industry driven. You know, it went from natural fats, which is animal fats, to vegetable fats, because they can produce it and therefore charge for it. And this was swallowed, hook, line, and sinker, by the AHA and the WHO just repeated it. “The other thing is; in the US there is this big swing to reduce milk consumption, and even if you consume milk, they want you to consume 2% or 1% of fat. What is the evidence? A big zero. Absolutely no evidence that low-fat milk is better for you. If anything, if you look at dairy sources of saturated fats, it is protective. Those of you who have read my blog will know that I have a great interest in the role of lipids in CVD. I’ve written many posts addressing LDL-cholesterol (LDL-C), HDL-cholesterol (HDL-C), triglycerides (TGs), lipoprotein(a), apolipoprotein B (ApoB), apolipoprotein E, VLDL-cholesterol (VLDL-C), TG/HDL-C ratio, familial hypercholesterolemia, dietary fats, and saturated fat in particular. One of the things that I have pointed out is that we seem to have overemphasized the importance of the association between saturated fat consumption and LDL-cholesterol (6,7,8,9,10). Interestingly, Dr. Yusuf addresses this issue as well, based on data from the PURE study. “Now, why did we go wrong. We went wrong because of surrogate end-points. 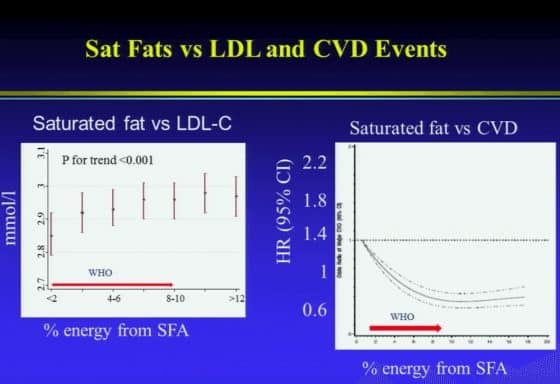 The story on saturated fats vs. LDL is consistent. Our data shows that as you increase the amount of saturated fats, your LDL goes up. But first, look at how much LDL goes up. This is a 150 thousand people in the analysis – from about 2.85 (108 mg/dL) to just under 3 (116 mg/dL). About 0.1 mmol/L (3.9 mg/dL) increase over a huge range of percentage of saturated fat (consumption). “Contrary to common beliefs, the current recommendations to reduce saturated fats have no scientific basis. I’m not the only one saying this. You must have heard of the book called ‘The Big Fat Surprise’ by Nina Teicholz. She shook up the nutrition world, but she got it right. So, is there a time for a reappraisal of public recommendations regarding the relationship between diet and heart disease following the presentation of the PURE date on macronutrients. Obviously, this is a rhetorical question. Let’s get to work. There’s a point about a Norwegian study. This could be the study where high-risk individuals (80% smokers) were induced to stop smoking or try to, and reduce satfat. Controls were told nothing. So, here we have conflation of satfat and smoking. How scientific is this. Very terribly unscientific, to mutilate the English language! I guess you are refering to Hjermann et al’s Oslo study. It is true that smoking was part of the intervention. However, few participants managed to quit, and most of the effect (about 60 %) was attributed to the LDL-cholesterol-lowering (by diet). They did not merely reduce saturated fat intake, of course. 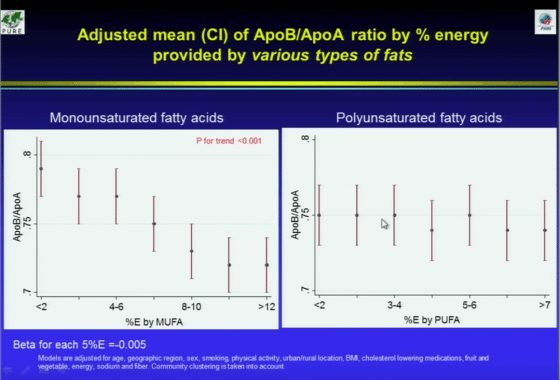 They also increased % of PUFA and reduced energy intake if they were overweight. It will be interesting to see whether they looked at substitution models in PURE. 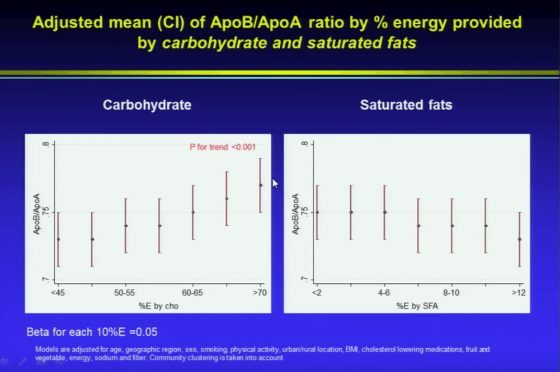 According to the figure, fat intake was adjusted for total energy intake, which practicall means SFA is compared to CHO. In that case, it does not “test” the official recommendation to substitute PUFA and MUFA for SFA. BTW, Yusuf is obviously misinformed or lying when asserting that “23 countries” participated in the 7 Countries Study. How do you mean “misinformed or lying”? At the time Keys did the 7 Countries Study data was available for 21 (not 23) countries. Keys was even accused at the time of cherry-picking the data to match his theory. Indeed, there were 21 countries according to the most rigorous analysis, the rarely cited 1981 statistical paper by PDP Wood. However, Keys seems to have included countries ultimately based on the presence of friendly researchers there. This was obviously pragmatic, but introduces a serious bias – countries where researchers think his hypothesis is explanatory include themselves, countries where researchers don’t exclude themselves. Is this fudging? I think not making sure others appreciate the potential for bias in extolling the results might be. Hi Dr. Sigurdsson, thank you for this very interesting post. Regarding the carbohydrates relationship, it looks like from the graph that the total amount of calories consumed was controlled for (“energy”). Is this correct? I am finding it a little hard to believe that if you are consuming a reasonable amount of calories and have good weight control that the actual distribution of macronutrients you are consuming has that much importance (assuming you are not at extremes). Maybe it’s just the surprise. Is there a proposed mechanism for the “carbohydrate effect”? Also, did they examine any interaction effects in their multivariate models? These are great and important questions Lynn. Unfortunately I can’t answer them. I guess we will have to wait until further details are available. There is a thorough discussion on this in the book “The world turned upside down” by Richard David Feinman (the “other Feynman ; )”). I recommend. The subtitle of the book is “The second Low Carbo-Hydrate Revolution”. This Ph.D really knows about biochemistry as opposed to so many physicians offering opinions on nutrition. How can you let this LIE go unchallenged? Pretty harsh isn’t it Charles. Definitely deserves to be challenged. I’m sorry I didn’t. In fact Dr. Yusuf is not the first one to say this. As you can see below, the story is being repeated again and again in books, blogs and articles by different people. Of course I would have assumed that Dr. Yusuf would base his talk on reliable sources. I guess only he, himself can answer for that. “Keys examined diet and heart disease trends in twenty-two countries. He was apparently more interested in headlines than science because he then published a study that included data from only the six countries that showed a scary link between diet and heart disease. Keys garnered a massive amount of press and then went on tour preaching that eating fat is deadly. “In 1953, Dr. Ancel Keys published a seminal paper that serves as the basis for nearly all of the initial scientific support for the Cholesterol Theory. The study is known as the Seven Countries Study, that linked the consumption of dietary fat to coronary heart disease. 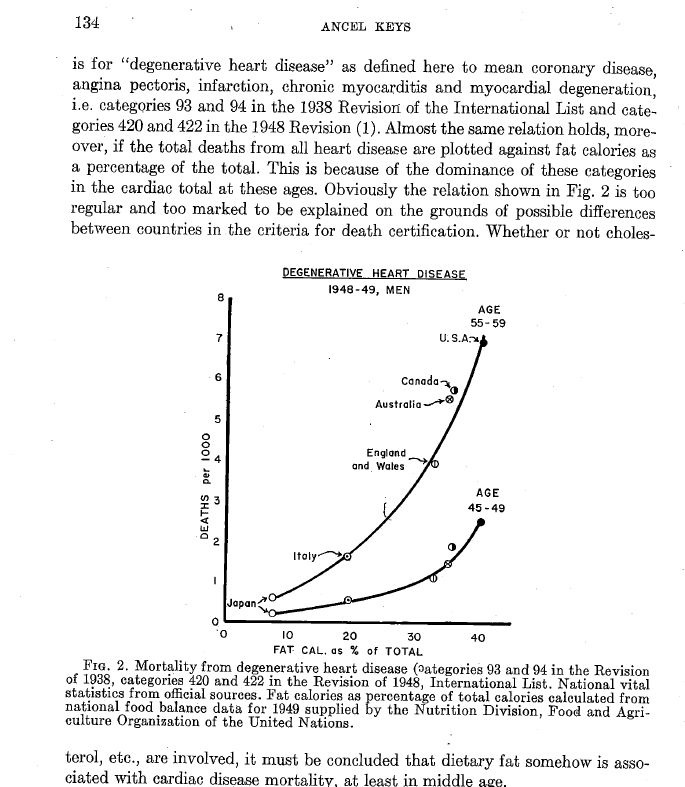 What you may not know is that when Keys published his analysis that claimed to prove the link between dietary fats and coronary heart disease (CHD), he selectively analyzed information from only seven countries to prove his correlation, rather than comparing all the data available at the time — from 22 countries. If you repeat a lie long enough should it be believed or is it still a lie?? You might take a look at these videos posted by Plant Positive. It may be a lie that Keys didn’t have 22 or 23 countries data and he did in fact have data from only seven countries. As we now have data from other countries and this is added to the Keys data then this does show that the original conclusion of Keys was weak at best. Conclusions. Over the years, France and Finland, with similar intakes of cholesterol and saturated fat, consistently have had very different CHI) mortality rates. This paradox may be explained as follows. Given a high intake of cholesterol and saturated fat, the country in which people also consume more plant foods, including small amounts of liquid vegetable oils, and more vegetables (more antioxidants) had lower rates of CHD mortality. On the other hand, milk and butterfat were associated with increased CHD mortality, possibly through their effects on thrombosis as well as on atherosclerosis. SO – these studies are in line with Keys. An hysterical response. Virtually the only people left who defend Keys deliberately distorted work are vegetarians. Keys was a paid defender of the sugar industry and was determined to prove himself right about fat. He has done immense harm. It’s good to see another cardiologist stumbling across the truth. As Dr Mark Porter reported in ‘The Times’, when his carbohydrate consumption reduced his heart risk factors all went in the right direction. A consistent finding that still surprises many doctors. Another lie! I’m NOT a vegetarian by any means but to say he DELIBERATELY distorted his work knows NOTHING of his work! I see you didn’t spend any of your valuable time defending Keys’ paid advocacy of sugar. Bearing in mind all the evidence about fat from inconvenient countries that Keys chose to ignore, such as France, Switzerland and Germany, it’s hard to believe Keys didn’t deliberately distort his ‘research’. He suppressed or ridiculed all work that implicated sugar and exonerated fat. His woeful science and bullying arrogance led his field badly astray. The result is the public health disaster we see all around us. You prove my point. Keys built his own mountain of nonsense about fat and coronary heart disease and, as you’ve shown, exonerated sugar from the question. Even whether that was true or not, this did not influence the dietary guidelines (which Keys did not write), which said to avoid too much of both sugar and saturated fat. Erik, you’re right about sugar, but I think Keys’ work did strongly influenced the people involved with the guidelines. The author was a low-fat vegetarian and Senator McGovern was eating a low-fat diet. Somehow the sugar message got lost, probably because the fat theory was by this time quite firmly established and had stronger support. The message was that fat was the main problem. And when they took fat out of food, it tasted terrible until they added sugar. The effect can be seen on our supermarket shelves. If it’s in a tin or a box, they’ve probably added sugar. It’s impossible to buy many products without added sugar. Soup is one example, at least in the UK. 6) Reduce salt consumption by about 50 to 85 percent to approximately 3 grams a day. WOW – that’s really low fat isn’t it?? In the US too, even foods that are potentially good for you such as yogurt are ‘low-fat’ and have sugar as the replacement. Fortunately cheeses do not have sugar added. It is also very difficult to find real fruit juice without added sugar. The other thing that grates on me is peanut butter that shows on the nutrition label to have no trans-fats but has completely hydrogenated rapeseed or soya been oil. When I was earning my master’s degree in dietetics one of the things we covered was the equivalence between hydrogenated fats and trans-fats. Not sure why hydrogenated fats are needed in peanut butter since lecithin would serve the same purpose and keep the peanut butter and oil from separating. John, weren’t the hydrogenated fats originally used to replace wicked satuared fats? CSPI strongly advocated this and I think they are still against saturated fat. Sadly, vegetarians are often bitterly opposed to any rehabilitation of saturared fat because they think we children will all rush out and buy more meat. Agendas and science make a bad mix. Good quality full fat yoghurts, without added sugar, are easily available in the UK, as are numerous quality butters. I recently counted eleven different premium butters in my supermarket. It also sells four coconut oils. Of course, the low fat yoghurts and margarine is still available and prominent, but there’s clearly been a change in customers’ attitudes. I’m wary of anything in a tin or package and read every label. Fruit juice is packed with sugar, and they add more in the US? My American friends tells me that they’ve even seen sugar added to tinned fish. Astonishing. Exactly how is it a “mountain of nonsense about fat and coronary heart disease”?? Charles, you really need to do some fact checking. 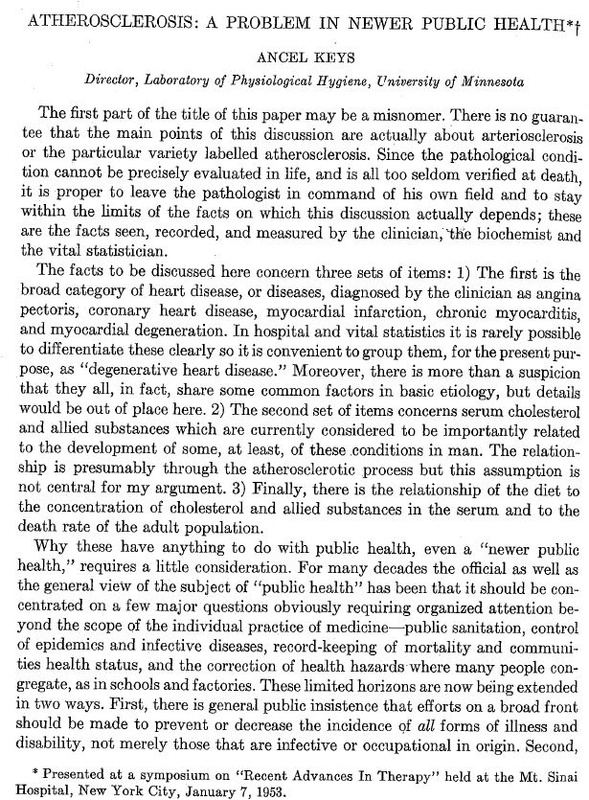 It was known at the time of Ansel Keyes publication that he had fudged and used only data that selectively proved his hypothesis but the background information and the real facts have been forgotten in support of a theory of saturated fats consumption linked with cardio vascular disease. The real facts are that there is no scientific basis and there never was any scientific basis. This is all so much garbage science akin to man-made global warming or man-made climate change. What’s your own experience with patients and the diets they are on.,,do the LCHF do better than the HCLF with respect to CVD. When I read things like this it’s interesting but then I see the work of Esselstyn and his success with reducing CVD with HCLF and I’m left scratching my head. There is no formula that applies to everybody. Although I’m not a fan of Esselstyn’s, mainly because of the lack of clinical evidence, I believe that plant based low fat diets may be a good choice for many individuals with lipid abnormalities and/or an established cardiovascular disease. On the other hand I’ve found that many people with abdominal obesity and insulin resistance do well on LCHF and often drastically improve their metabolic abnormalities. So, as a clinician you’ll have to look at the individual, his situation and his preferences. It would be nice to see the CHO data stratified by type e.g. simple vs complex….refined etc….Just like fats have varying effects on lipids or ‘possibly’ CAD, CHO may have variable effects. Thanks for the review. If the result would have been that SFAs is linked to CHD in that study, low-carber would be all over the place screaming ”CORRELATION DOES NOT EQUAL CAUSATION” and that epidemiology is junk science. But now, since the result are favorable to the low-carb dogma, it’s a very good study that should have us reconsider our whole understanding of nutrition science. As linked by Erik Arnessen in this discussion thread, other epidemiological studies looking at those correlation in many countries (40 in one case, and 20 in the other) came to a different conclusion, mainly that SFAs is linked to higher CHD incidence and mortality. Why aren’t those studies all over the place too? Why hasn’t Dr. Yusuf been acting as any serious scientist and said, here, our study show that, but other study are in contradiction with our results, and as such more science is needed. Nope. He just went full controversy and claimed that our understanding of nutrition science is bogus. I also wonder whether dr. Yusuf has forgotten his own study from 2012: Relationship Between Healthy Diet and Risk of Cardiovascular Disease Among Patients on Drug Therapies for Secondary Prevention (Circulation) https://circ.ahajournals.org/content/126/23/2705. Conclusions—A higher-quality diet was associated with a lower risk of recurrent CVD events among people ≥55 years of age with CVD or diabetes mellitus. Highlighting the importance of healthy eating by health professionals would substantially reduce CVD recurrence and save lives globally. A healthy diet was indicated by better adherence to dietary recommendations and reflects a high intake of fruits, vegetables, whole grains, and nuts and a higher intake of fish relative to meat, poultry, and eggs. Thank you very much Dr Sigurdsson, for this compelling post. 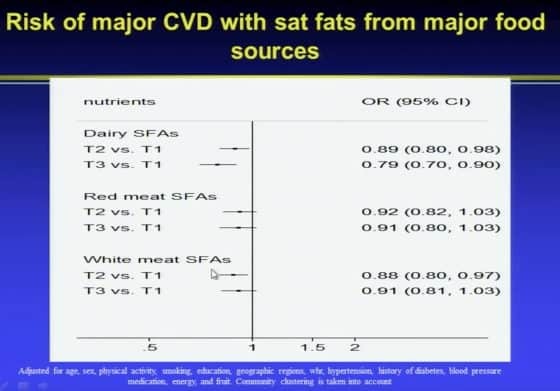 I guess Dr Yusuf will have a hard time fighting the 40 years old consensus… But he is not alone : more and more convincing data go in the same direction showing no direct relation between fat consumption (even sat fat) and CVD. And there are many doctors, scientists, journalists, etc.. who share this message now. I find sad that still a lot of people tend to think that consuming fat in a diet makes the diet unhealthy. I love fat meat, I love eggs and full fat dairy (raw milk cheese, mainly), but I also love vegetables and eat at least 500 gr of vegetables and a fruit every day. Not much bread and not much starchy food in general because I don’t think that they are so interesting in terms of nutrients. I do not eat (or drink) sugar besides some dark chocolate (about 20 gr per day). But I do not follow a strictly “no-grain” diet either. I would say my total carb intake is around 100 gr per day (low carb but not keto). I feel fine, do 1h physical exercice 5 days a week and was able to lose 10 kg without counting kcal at the age of 45 (now 53 years old, stable weight, normal BMI), just limitng carbs but not worrying about fat (I eat two eggs + cheese every morning). My lab numbers are much better today than 10 years ago : tot chol = 210 mg/dl (unchanged) – Trig = 62 mg/dl (from 70) – HDL = 83 mg/dl (from 58) – LDL = 115 mg/dl (from 137) – ApoA1 = 1,77 g/L (from 1,52) – ApoB = 0.79 g/L (from 0.91). I am convinced that my diet is healthy and perfect for me (also very tasty ! ), even if my total fat consumption is close to 60% of my total calories intake. But I make quality choices (grass fed beef, eggs with high omega 3, raw milk cheese, irish butter from grass fed cows, fatty fish twice a week, top quality olive oïl, etc.. and of course very few other vegetable oils and certainly no trans fat). A healthy diet is possible with a lot of fat as well as with much less fat, if besides that we eat a lot of vegetables, real food and avoid processed food and refined carbs. The battle that we see everywhere between the vegan community and the paleo/LCHF style fans is stupid. They both go in the right direction of avoiding processed food and eating quality simple food. The rest is just a question of individual preferences. I think that the best diet is the one that you can stick to for your whole life and that contains minimum processed food and max quality simple food with a good portion of vegetables. That is just my personnal opinion : there is not one unique healthy diet. Best regards to you, Dr Sigurdsson. The “ideal diet” varies from person to person depending on many factors. ApoE status and genetic variants (single nucleotide polymorphisms) can alter an individual’s response to various macro and micronutrients. The point made by Dr. Yusuf is well taken. Public health recommendations to reduce saturated fat, increase PUFA and carbohydrates resulted in a great excess of refined carbohydrates and easily oxidized pro-inflammatory refined vegetable oils, both of which contribute to metabolic syndrome, insulin resistance, chronic inflammation, and CVD (through multiple mechanisms). Focus on intermediate endpoints (LDL-C) rather than true clinical endpoints (death, MI, stroke) has led us down a rabbit hole. Obsession over LDL-C rather than the big picture (exercise, sleep, stress, insulin resistance, apoA/apoB, etc) has led to a low-fat plus statin ideology. This ideology permeates our culture and the practice of medicine and has been greatly harmful. Studies of primitive hunter-gatherer cultures show lack of CVD (MI, stroke) and chronic illness in general, through a wide range of macro-nutrients (LFHC to HFLC). But none of these cultures consume processed grains, added sugar, sugar substitutes or refined vegetable oils. A paleolithic style diet (elimination of added sugar, grains, legumes, dairy) can be beneficial. A Mediterranean Diet with EVOO supplementation can also be very beneficial. There is great overlap between those two approaches. The low hanging fruit is elimination of added sugar, artificial sweeteners, processed-refined grains, pro-inflammatory refined vegetable oils and trans-fats. Consumption of whole foods and elimination of processes foods offers the greatest benefit for the least intervention. 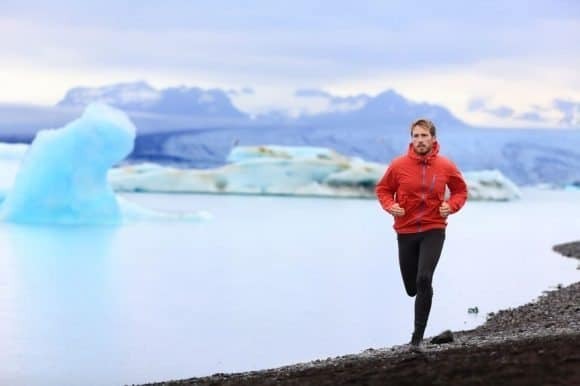 Combined with exercise outdoors, sunshine, social support, adequate sleep and stress reduction, simple dietary changes can offer profound benefit. Unfortunately, too much reliance on surrogate markers has diverted our focus from the big picture. It’s a shame because the real culprits, so well described by you, are right in front of us. And of course, the macronutrient discussion is outdated, but still, we keep on arguing about it. It’ll probably lead us nowhere. This is nonsense. The recommendations have – for ages – CLEARLY stressed the importance of carb quality (more fruits, veggies and whole grain, less refined carbs). If people disregard the recommendations, you cannot blame the latter for what happens to the former. Secondly, there’s no data that indicates that the the use of vegetable oils WITHIN the limits mentioned in the recommendation increases e.g. LDL oxidation – nope, there’s data to indicates quite the opposite. On the other hand, there’s NO data to indicate that safa per se is beneficial – there’s data to indicate that consuming full-fat dairy products (fermented) can be beneficial DESPITE their fat content. Nope. That particular surrogate is but ONE of many surrogates and it indeed correlates well with clinical endpoints. Not to mention that LDL-C is a causal risk factor, not just a surrogate. Furthermore: Axel, do you NOT understand the facepalm-moment that Yusuf creates when he criticizes the use of endpoints (LDL-C) but then immediately advocates the use of endpoints (ApoA/ApoB ratio)???? False dichotomy, surprise surprise. If you care to look at ESC guidelines, you’ll see that the recommendation to prevent/treat CVD cannot be simplified to mere LDL-C. Finally, Robert’s recommendations for a quality diet are – of course – reasonable. Too bad he had to spam all this pro-safa/low carb/cholesterol denialism nonsense first. As for you Axel, if you consider the marconutrient discussion to be outdated, why do you insist on feeding it with pseudoscience a la Yusuf? In addition to reduced sugar intake should be the elimination of high fructose corn syrup (HFCS) or corn syrup or corn syrup solids in addition to a host of other names. Not sure anyone has mentioned this but consumption of HFCS will cause Non-Alcoholic Fatty Liver Disease (NAFLD) as well as the deposition of fat in the pancreas both of which lead to diabetes. Hefurðu séð þessa grein, Axel? Zong, G., Li, Y., Wanders, A.J., Alssema, M., Zock, P.L., Willett, W.C., Hu, F.B., Sun, Q. Intake of individual saturated fatty acids and risk of coronary heart disease in US men and women: two prospective longitudinal cohort studies BMJ. 2016;355:i5796. Yes. I’ve seen this paper. What do you think about it? My problem with this is the generalization about carbohydrates. Carbohydrates can be anything from a mouthful of processed white cane sugar to a mouthful of boiled barley. I am 70YO and have obviously seen some great changes in our modern western society during my time. There are too many to discuss- but one of the greatest changes is the ready and cheap availability of food and drink in the supermarkets and restaurants . In my childhood there were no supermarkets at all – with their rows and rows of commercially processed foods and drinks, all of high calorific value and based on high glycemic index processed carbohydrates (sugar and white wheat flour). Dr Yusuf also went on about the J-curve, the same one we see in the natural levels of cholesterol thoughout the population. Also when we see death from all causes it is much better to be in the center than the low or high side of many things, especially cholesterol. It seems that this attack on cholesterol is quite strange; a material that the body produces and regulates and is in every cell, needed for many things, part of our immune system, etc., causes all kinds of problems? This seems questionable to me on a lot of levels. So now Viagra comes to the rescue with HUGE benefits that make statins appear worthless! Based on the data, Viagra is the most potent heart disease drug of all time! It would seem that the approach for these remarkable results is the inhibition of the NO inhibitors, thus more Nitric Oxide, less CVD risk and events! Men who got treatment for ED with Viagra had a large reduction in both deaths and hospitalization for heart failure. Reduction in deaths was 33% overall, 40% for heart failure. Importantly, reduction in death rates appears to be dose dependent. Men who got 1 prescription for Viagra had 34% fewer deaths. Men who got 2 to 5 prescriptions had 53% fewer deaths. Men who got greater than 5 prescriptions had 81% fewer deaths. Only men who got Viagra for ED had lower death rates. There was no association with death rates for those who got another form of treatment for ED, alprostadil. What in the world is going on here? The answer can lead us to the true cause of heart disease. I would also caution any connection between correlation and causation, this seems to have not worked out so well for us humans in the past. Thanks fro the posts and thoughts, keep it coming. Thank you for this valuable and rational input. I think it was Robert Lustig who once said in the context of nutrition; “The only dogma here is that there is no dogma”. And, I agree, we should focus on doing better research and be much more careful about drawing conclusions from epidemiological data. Read this new study carefully. Only 4% of males, and 3% of females, had high HDL at levels associated with risk of excess mortality. 40% of males and 40% of females had low HDL associated with a similar risk. This is similar to the CANHEART study from 2016 you linked to. Now look at the data for HDL and risk of cardiovascular events. There is no increase, even at very high HDL levels. All the excess mortality in the highest HDL cases – only a few dozen extra deaths out of the 5,619 total – being driven by non-CVD causes – cancer, and no doubt accidents, suicide, and heart failure. Would these be caused by CETP defects, or – alcoholism? Alcohol was controlled for but, alcohol is under-reported by a factor of 2-3, and alcoholism is by its very nature concealed whenever possible. The extremely high HDL cases didn’t have extra protection from CVD events, which is consistent with CETP defects in this group as well as alcoholism, but it doesn’t look like these raise CVD mortality significantly, any more than CETP inhibitors do. They just don’t help, which makes sense as CETP is how HDL renews itself for efflux and enlists LDL in reverse cholesterol transport.